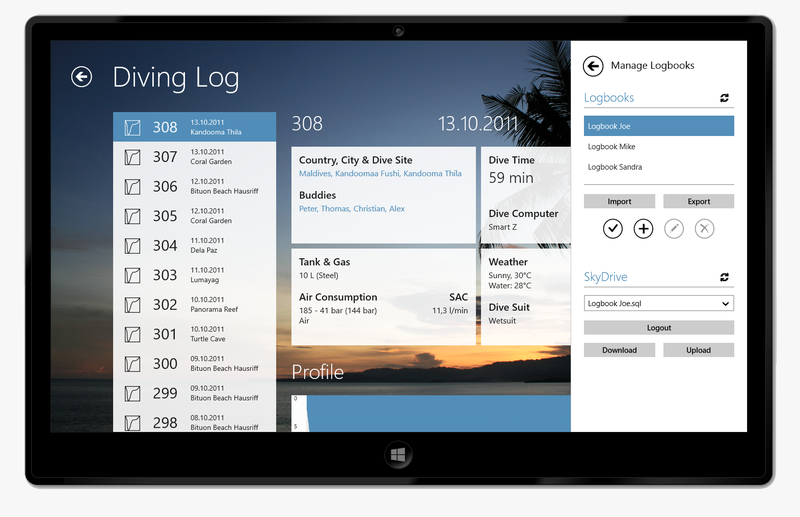 This entry was posted on Sunday, September 16th, 2012 at 9:38 pm and is filed under Diving Log 5.0, Diving Log Touch. You can follow any responses to this entry through the RSS 2.0 feed. Both comments and pings are currently closed. You have done a great job creating a windowsRT version of Diving Log. The one thing I believe is missing is the ability to import your logs from you dive computer without the desktop version. I take the tablet with to reduce weight but want to enter data only once. 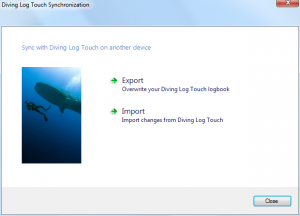 If you could make it possible to sync your computer dive logs with Diving Log Touch that would be the bomb! Thank you, I’m glad you like it! Currently Windows RT apps are very restricted in what they can do, similar to iOS apps. 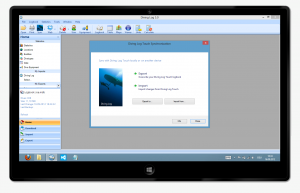 The apps are isolated and cannot communicate with dive computers or install drivers, for example. Hopefully this will change in future, but right now you need the desktop to do these things. So if you want to download a dive computer on a tablet, I recommend to get an x86 tablet, wherer you can install Diving Log 5.0 and Diving Log Touch. 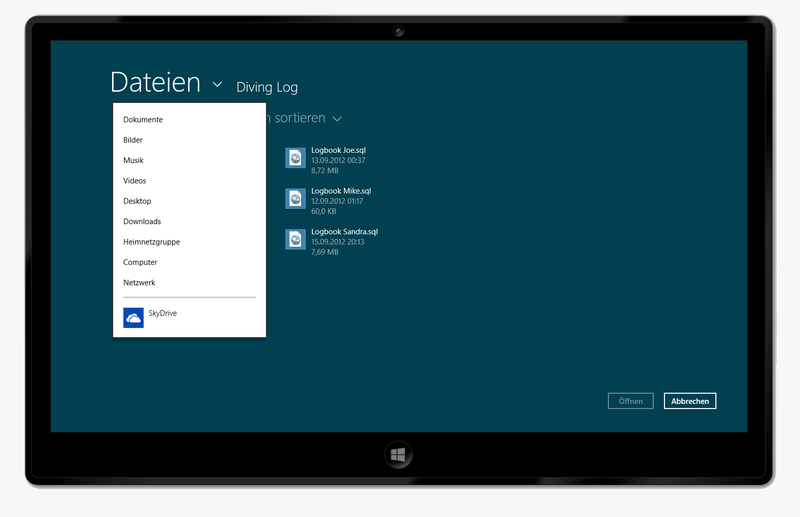 On a Windows RT tablet you can enter the basic dive data by hand and merge it later at home with the dive computer data on your PC.